Dubai’s property market has long proven a magnet for Arabs and Europeans who are well-versed in the potentially lucrative returns on offer. However, as the city’s reputation as a global hub for commerce and tourism continues to grow, so too does its appeal to international investors from the world’s fastest growing economies. Property transactions involving investors from emerging markets in Africa and Asia are on the rise, according to data issued by Dubai Land Department (DLD). Of the 69,000 real estate transactions reported in 2017 worth a total US$77.6 billion (up from 41,776 transactions worth $70 billion in 2016), foreigners accounted for more than US$15 billion of this figure. However, notable nationalities in the top 10 included Pakistanis with almost $1.4 billion-worth of investments, along with Chinese, Canadians, Egyptians and Jordanians. Chinese nationals were the fourth most-active source of investment in Dubai real estate in the first half of 2017, according to Knight Frank, while the total value of property transactions involving Chinese investors in the 18 months to June 2017 exceeded AED3 billion ($816 million), according to DLD data. To maintain this momentum into 2019 and beyond, the DLD recently staged the Dubai Property Show in Shanghai, wowing potential investors in the Chinese metropolis. The property roadshow will visit London, Mumbai and Moscow later this year. Last year’s installment of the event, which also visited these four cities, generated property transactions worth more than $800 million, according to DLD data. The DLD also plans to stage a series of property investment workshops and other initiatives in cities across Africa, Asia, Europe and the Middle East in the second half of 2018. “Our local and regional partnerships have achieved several positive outcomes as they have allowed us to interact directly with investors looking for ideal investment options,” says H.E. Sultan Butti bin Mejren, Director General of the DLD. The total value of investments from Africa in Dubai’s real estate sector is also rising rapidly. 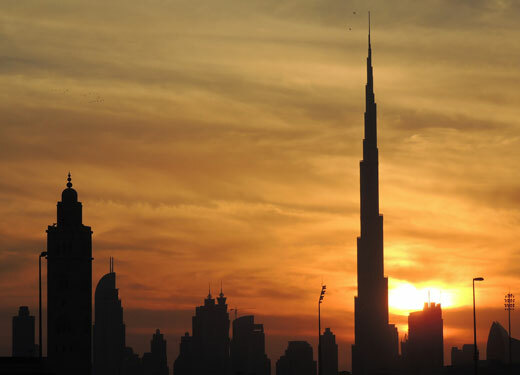 According to data provided by investment firm Global Capital Partners, the value of African private and institutional investments in Dubai’s property market has risen 300 percent in the last five years. The firm cited Dubai’s strong rental yields of more than six percent, which exceed African property returns, as a key factor in this growth, along with the emirate’s stringent real estate regulations and political stability compared to many African markets. Dubai also ranks among the world’s most liveable cities, having been named top city in the Middle East for quality of life by the Economic Intelligence Unit and Mercer respectively in 2017. According to industry analyst JLL, Dubai’s rising appeal among a new band of international investors can be attributed to the fact it possesses “very high-quality infrastructure platforms and [a] higher-value visitor economy”. It also says efforts by the Dubai government to “improve transparency” in the city’s real estate sector has given foreigners confidence in the long-term security of their investments. In 2016, the firm ranked Dubai as the most transparent real estate market in the Middle East.